(Natural News) Vitamin D is one of the most extensively studied nutrients. Contrary to popular belief, vitamin D is not, well, a vitamin. The body can produce its own vitamin D, so it is technically a hormone. The primary source of vitamin D is sunlight. When skin cells are exposed to sunlight, a molecule in the skin known as 7-dehydrocholesterol is converted into a crude form of vitamin D known as cholecalciferol. Various factors influence the amount of vitamin D the body produces, from the number of pigment skin cells to the strength of UV rays. This being the case, it’s difficult to judge how much vitamin D the body will produce when bathed in warm sunshine. Shrimp are often chastised as bottom feeders, but there is more to this crustacean than meets the eye. In addition to being an ample source of vitamin D, B3 and zinc, shrimp are often recommended for people trying to lose weight. They also contain good cholesterol, which can help combat cancer. 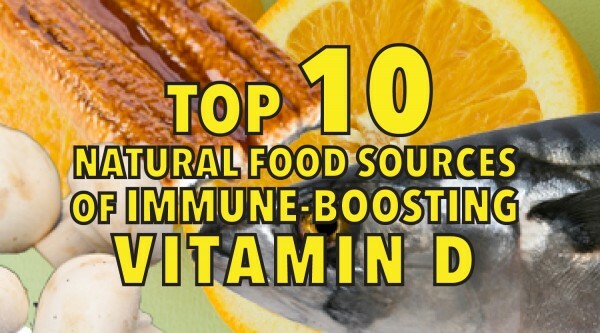 Vitamin D is a powerful immune system controller. Most, if not all, cells in the body contain vitamin D receptors. Since it acts as a regulator, vitamin D enhances the functioning of the immune system. This is why it is so important to not become deficient in vitamin D. Although vitamin D isn’t found in many foods, eating these foods is a sure way to obtain all the vitamin D you need.